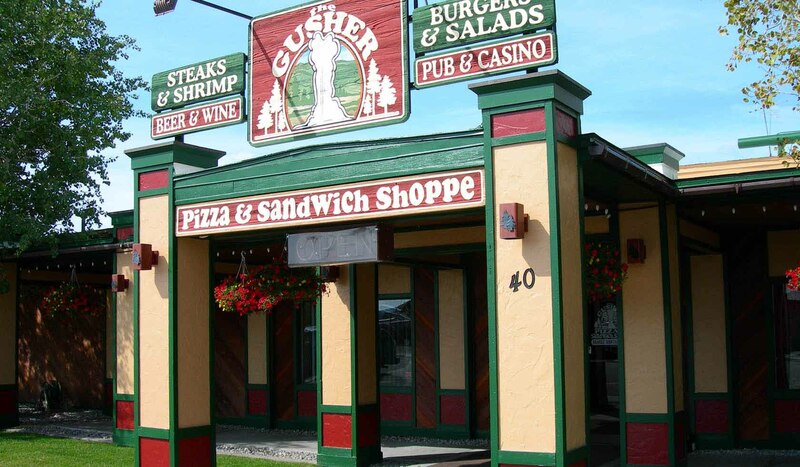 The Gusher Pizza & Sandwich Shoppe is your pizza place and more in Yellowstone Country. We feature delicious pizza, great 1/2 lb. angus beef burgers, buffalo burgers, steaks, salads, specialty sandwiches and much, much more. Dine in or take out. It's all good!!! Try your luck with video poker, Slots and Keno in our casino which is open from 11:00am to 2:00am After a full day in Yellowstone, let the whole family relax with us at the Gusher Pizza and Sandwich Shoppe. Food, drinks and fun for YOUR Yellowstone tradition.